Public records from the Governor's office clearly illustrate (quite literally in red pen) that it was the opinion of officials within the Scott Administration that a 2/3rds majority was required. As the Miami Herald reported, immediately after the vote there was internal confusion and Legislative Liaison Renee Fargason wrote, "At this time there is some uncertainty as to whether HB 7007 passed." 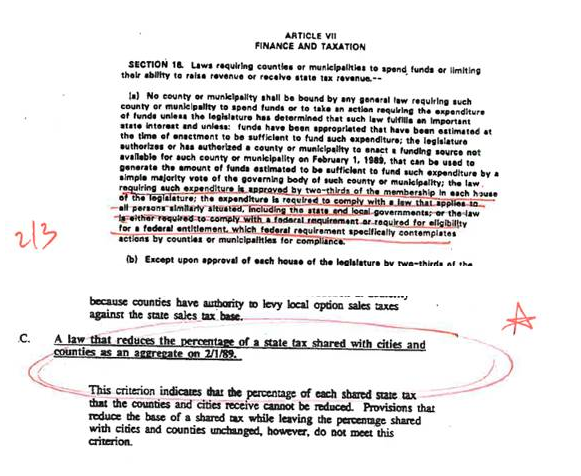 When the question of the constitutionality of the tax break’s passage was brought to Weiss the emails show he stated, “they still can recall it.” In another email a scanned page of the Florida Constitution showing the exact provision mandating the 2/3rds majority is circled in red with a star and “2/3” written next to it. 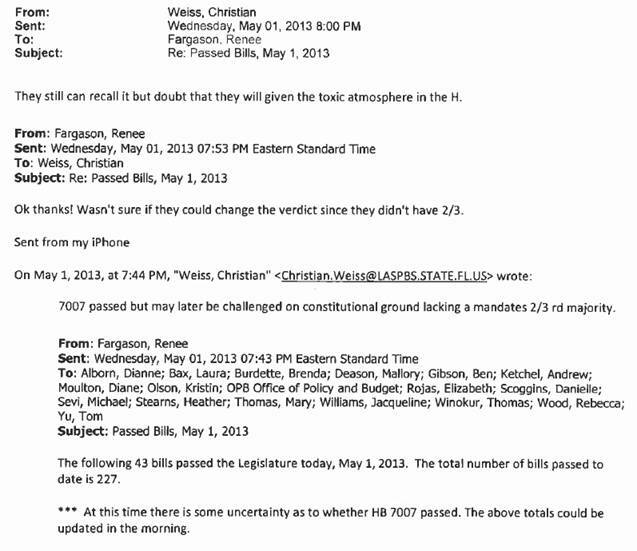 There is perhaps nothing more evident of the Scott Administration’s belief that the bill passed unconstitutionally. But what did Governor Scott do? He declared victory. Apparently when running for reelection and one of his top legislative priorities is on the line, Scott thinks the rules don’t apply.